The experience is your product. In a world of infinite choices, customer experience is the last true differentiator. The optimal shopping experience happens when the right content is presented to a customer at precisely the right time, no matter where they choose to engage. 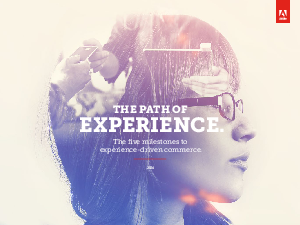 Read 'The Path of Experience' to learn the critical capabilities needed to drive seamless commerce experiences that keep customers coming back for more.